As part of Literacy Week, kindergarten to grade five students at Blackville School attended a Literacy Evening on Wednesday, January 23. 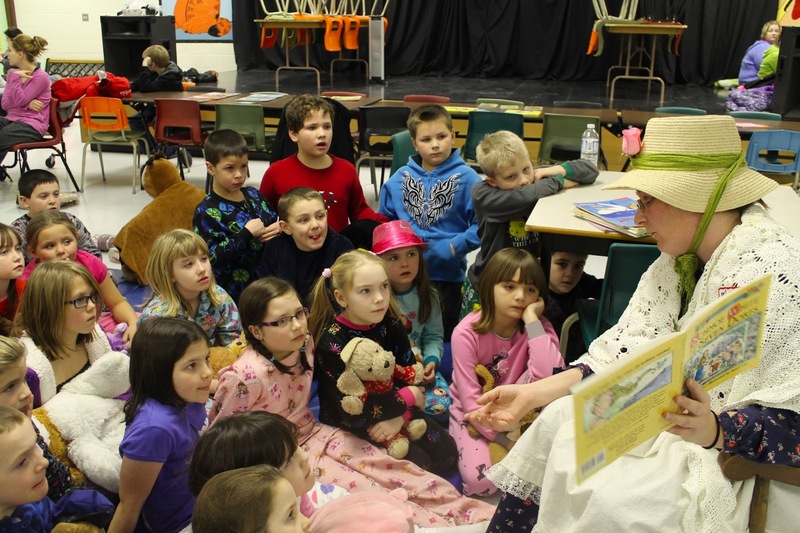 Students were invited to wear their pyjamas and bring along their favourite teddy bear. 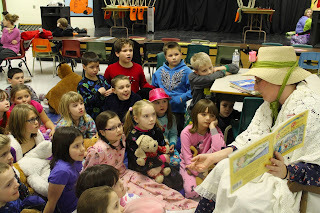 Special guests read to the students and treats were provided by the Blackville Home and School Committee. 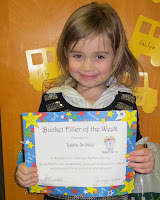 This week's Bucket Filler is Lexi Sobey from Mrs. Hallihan's kindergarten class. 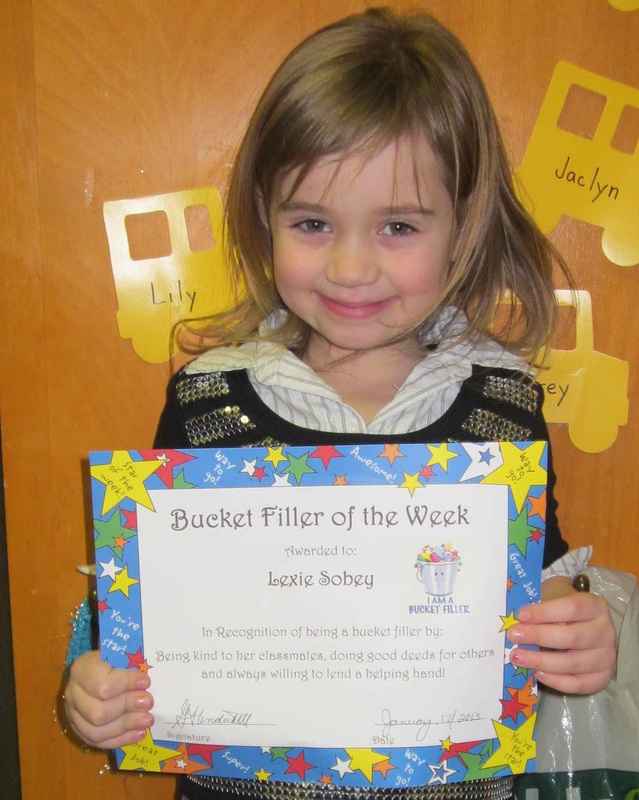 Lexie was picked as Bucket Filler for being kind to her classmates, doing good deeds for others and for always lending a helping hand. Congratulations from everyone here at BHS. Keep up the great work! The Blackville High School Student Council recently received a cheque for $300.00 for the school's breakfast program. The cheque was donated by Perry Underhill of Maritime Fence. 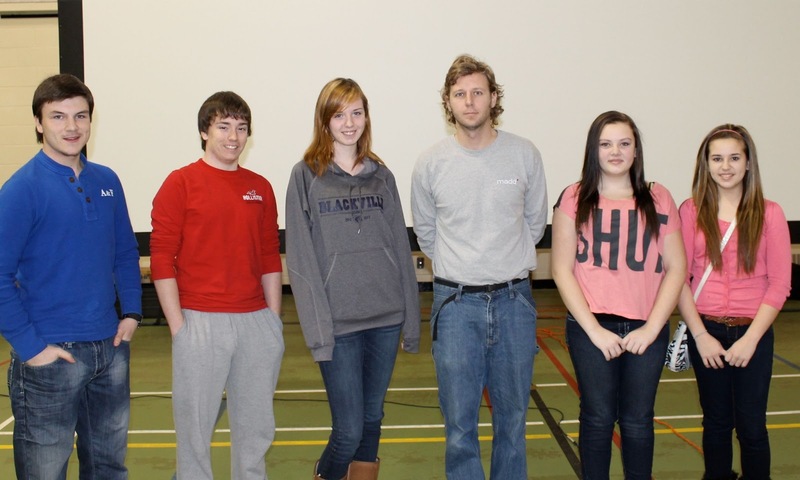 On Thursday, January 10, 2013, Blackville's middle school and high school students had the opportunity to view a film entitled "Long Week End," a forty-five minute short produced by Mothers Against Drunk Driving (MADD) Canada. The film was presented by Roch-Alain Poirier, who spoke to the students about the importance of making the proper decision about what to do when faced with a situation where you or someone else is attempting to drive while under the influence of drugs and/or alcohol. Mr. Poirier gave a short introduction and then proceeded to show the film which was projected onto a large screen in the center of the school's gymnasium. The film itself was very emotionally driven and had put significant emphasis on the consequences of drinking and driving and the lives that are affected by those who choose to partake in this highly dangerous and destructive act. After the film Poirier discussed what the teenagers in the film could have done differently to prevent the loss of the lives of two young people and the life-altering injuries done to another. The final part of the film was filled with testimonies from several Canadian families who had felt, firsthand, the loss of one or more loved ones to a drinking and driving accident. They spoke about the importance of knowing that the pain and suffering does not just end at the scene of the crash; it is something that the people around those involved will carry with them for the rest of their lives. Many of the students who were present for the show did confess, afterwards, to having had teared up during the video portion of the presentation. Larissa Coughlan and Nichole Sullivan of grade twelve said that when the family spoke about their losses, it had a definite impact on them. MADD and Roch-Alain Poirier will continue their trek across the country and Atlantic Canada in hopes of spreading their message of awareness to at-risk youths who, perhaps, need to hear and comprehend what they have to say the most.